People often seek financial loans from banks and other financial institutions. These loans are sanctioned on the basis of certain criteria. When you apply for a loan, you need a form to apply for the same. 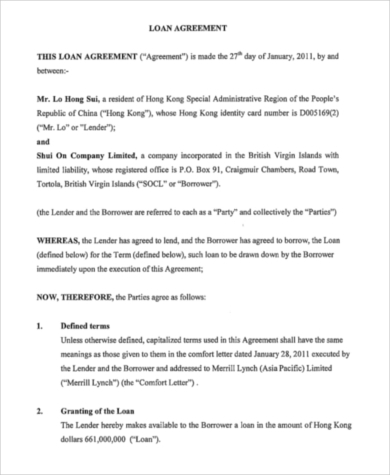 In this Personal Loan Agreement, the liabilities of the client are listed up and it is signed upon by the client party. The rate of interest, time period sanctioned and returns per month are specified in the agreement. Here are some commonly used Agreement Forms and you can check out the format from these documents. 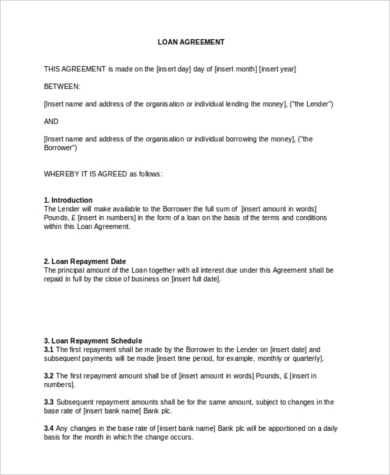 These agreement forms are sued when a loan is sanctioned by a bank to another party. The tabular format of presentation makes it easy to comprehend the terms of the agreement. In business, friends often help each other with money. To authenticate these transactions, personal agreement forms are used. These are less formal but accommodates all the necessary information. 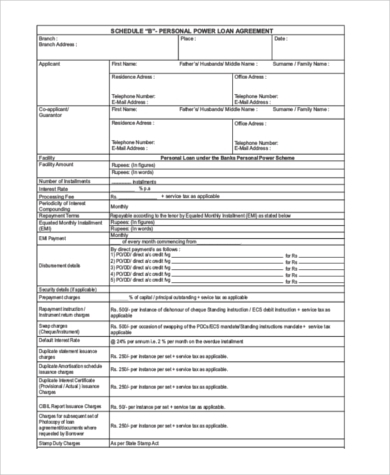 You may also see Loan Agreement Forms. 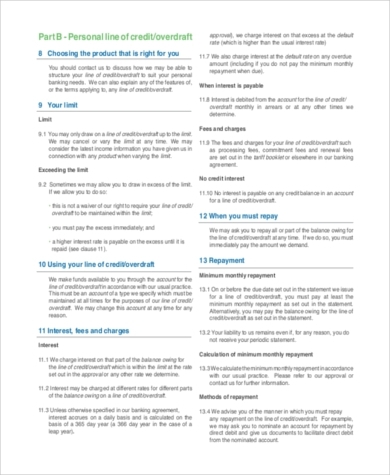 Separate subheads are used in this document to write the terms of the agreement. The names of the two parties are included at the top and the document is signed upon in the end. This is written in a letter format and includes all the desired information to authenticate the deal between two parties. The terms of the agreement are presented in a detailed format here. You can also see Purchase and Sale Agreement Forms. 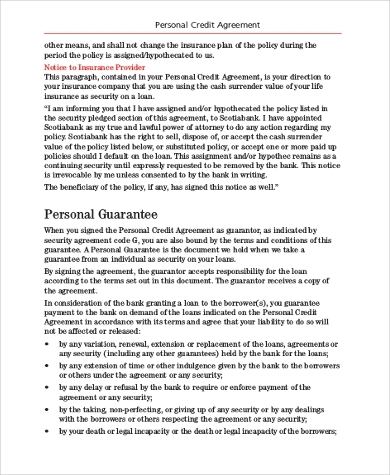 Here, the terms of the agreement are placed in separate paragraphs. The names of the two parties involved in the process are included in the template. It is a simple yet detailed format. This agreement focuses on the rates of payments and the dates on which the amount will be refunded, it may be repaid in monthly installments or any other scheme agreed upon by both the parties. You can also see Non-Disclosure Agreement Forms. 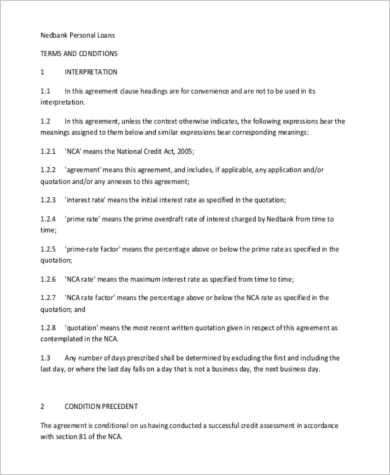 Here, the terms and conditions of the agreement are discussed in detail. The different aspects of the agreement are placed under subheads and the paragraph format is followed for the information furnished here. The general terms of the agreement, rights and obligations and other details are specified in this agreement. It follows the typical loan format as followed by the banks. All the clauses are incorporated into the agreement. The personal loan agreement forms are beneficial to the lender as well as the borrower. A number of clauses are associated with these agreements. These have to be clearly stated in a documented format. the format used in these templates are perfect with respect to the contextual values. No information will be missed out when the right format is used. In the long run, it will be easy to assess the success of the agreement from both the lender’s and the borrower’s end. 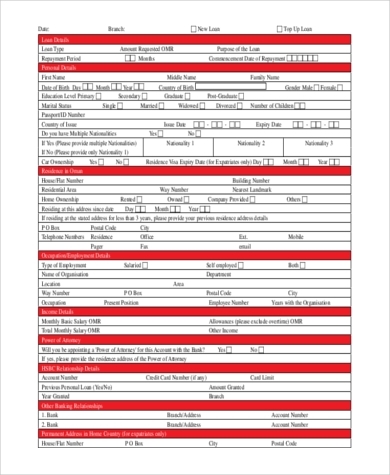 You may also see Service Agreement Forms. 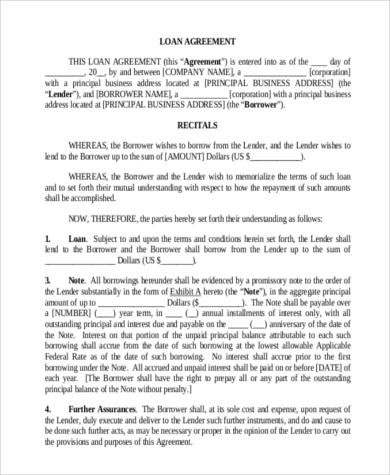 These agreements are signed between the lender and the borrower. The lender may be an individual, a bank or a private financial firm. All these parties require these templates to sign the deals. The information furnished in these templates are primarily the terms of agreement and clauses. These include the validity of the term, the rate of interest, amount of money to be paid by the borrower on monthly basis and so on. Thus, the forms ensure that there will be no misinterpretations in the clauses in future. You can also see Security Agreement Forms. The Loan Application Forms ensure that the correct format is being used to request for the loans. The terms and conditions can be presented in a systematic manner in these agreements. If you need any of these documents, you can come to the website and check out different formats. The right forms have to be chosen for particular agreements.